and Singapore Sports Hub / Kallang Theatre. Arena Residences is up for sale. Arena Residences offers a chance to invest in a good sized freehold property not far from the Central Business District and the Marina Bay area. This location holds a great deal of potential for future appreciation, at a comparatively affordable price still. The Arena Residences location in Guillermard Lane, beside the Geylang area. While it is certainly safe by global standards, and only parts tends to the seedy side, the reputation of Geylang as whole suffers from the stereotyping of it. Arena residences by Roxy pacific holdings is located near Geylang which is a great place for food and shopping malls like the Guillemard village is in just around the corner. The Leisure park at Kallang, Singapore sports hub are also located very near to the Arena residences, where it provides not only Sports events to enjoy but the Kallang wave mall proves to be one of the most attracting mall in the area for families. Kong Hwa School, one of the most popular schools in the vicinity. Located just a few meters away it provides a great and easily accessible route to education for kids. Every school is ranked according to its popularity and the Kong Hwa School has to be the most respected school in the area. Kong Hwa School is known for excelling its students in both academic and co-curricular activities. Kong Hwa School is basically the best school in the vicinity. Broadrick secondary school is also within 1km to the Arena Residences. could be to give SMEs quick access to the CBD and nearby business hubs at more affordable rents. [/vc_column_text][vc_single_image image="11701" img_size="full" alignment="center"][vc_column_text]Roxy-Pacific Holdings Limited is an established property and hospitality group with an Asia-Pacific focus and a track record that extends back to May 1967. 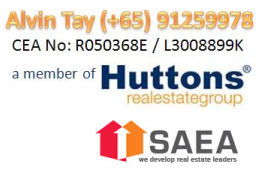 Listed on the SGX Mainboard on 12 March 2008, the Group is principally engaged in the development and sale of residential and commercial properties (“Property Development”). The Group’s recurring income streams are strengthened through its flagship hotel in the heart of historical Katong, Grand Mercure Singapore Roxy, self-managed upscale boutique hotel, Noku Kyoto and Noku Osaka, Japan, and other investment properties in Asia-Pacific (“Hotel Ownership and Property Investment”).